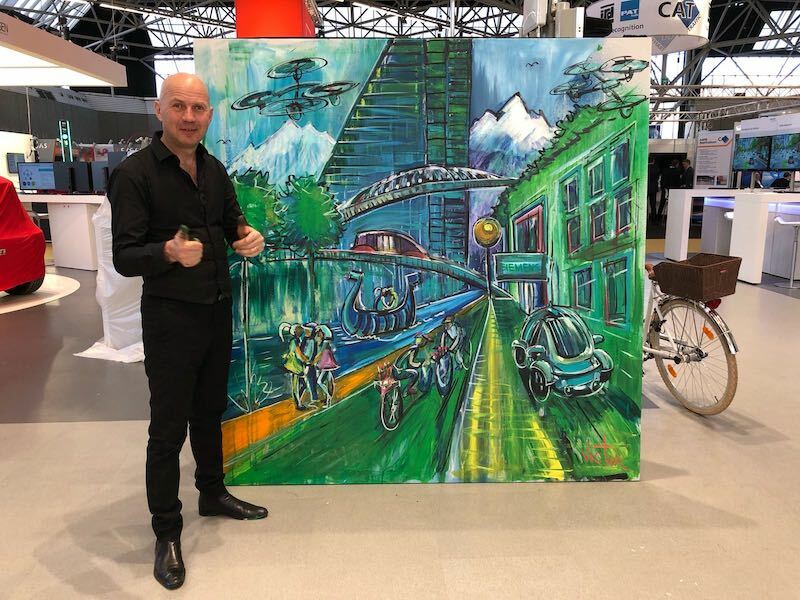 During the Intertraffic fair in Amsterdam, Viktor created an art piece in about 40 minutes using the Splash Painting. The idea was to show what the smart city would look like tomorrow using all future technologies. 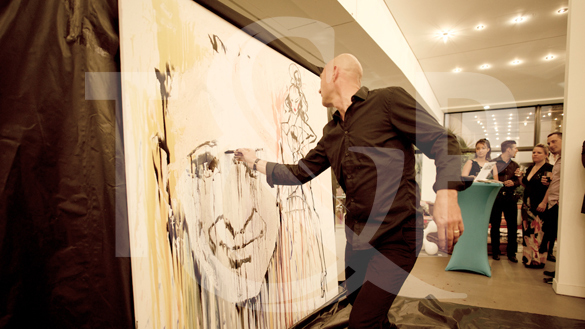 The exhibition took place on the client’s stand.